Have players discuss what it means to respect our teammates. Encourage the players to lead by example. Basketball brings people together like nothing else can. It’s a team game, and often teammates become and remain friends for life, on the court and off. That’s why it’s critical to respect teammates. You must be able to communicate well to play well as a team, and you must care about each other enough to sacrifice for the good of the team. 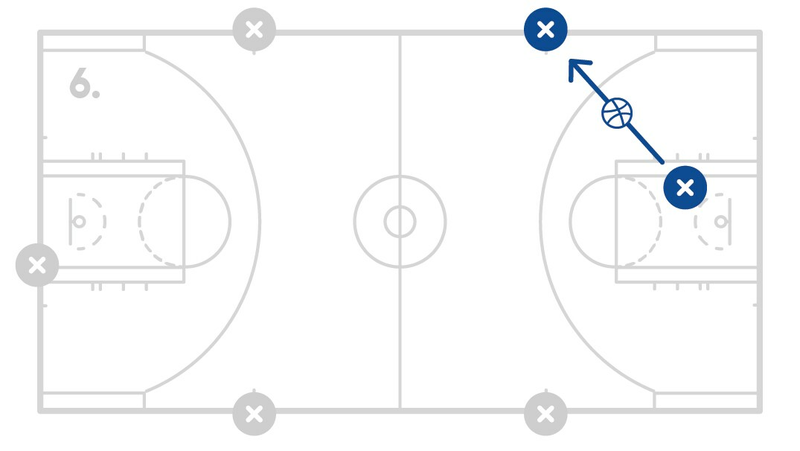 Designate boundaries (such as staying inside of half court) and have all players stand inside that area. One player or the coach will be designated as “it”. 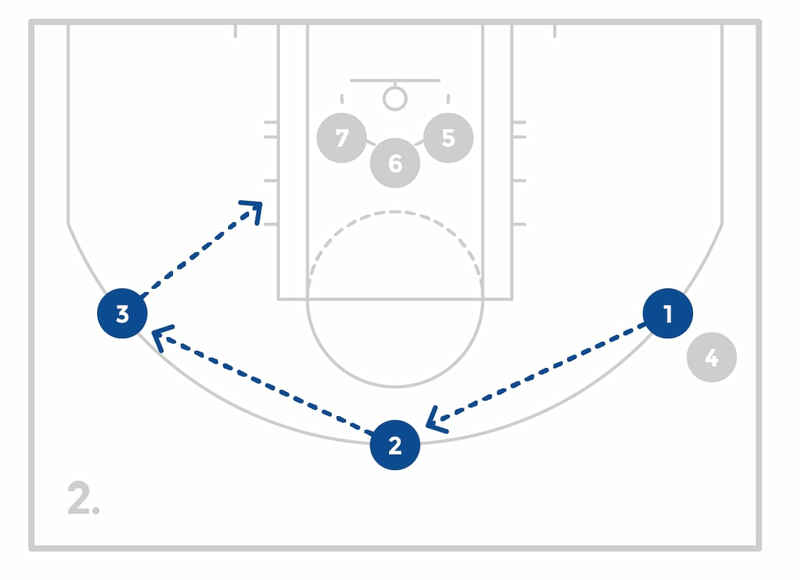 All players, including the person who is “it,” will skip around the court. Skipping is the only movement players are allowed to do. When a player is tagged, the game is put on pause so that all players can now see that the new player is now also “it” in helping the original person who is “it” in tagging others. Make sure players do not run and only skip. The players will be divided into even groups and line up on the baseline. 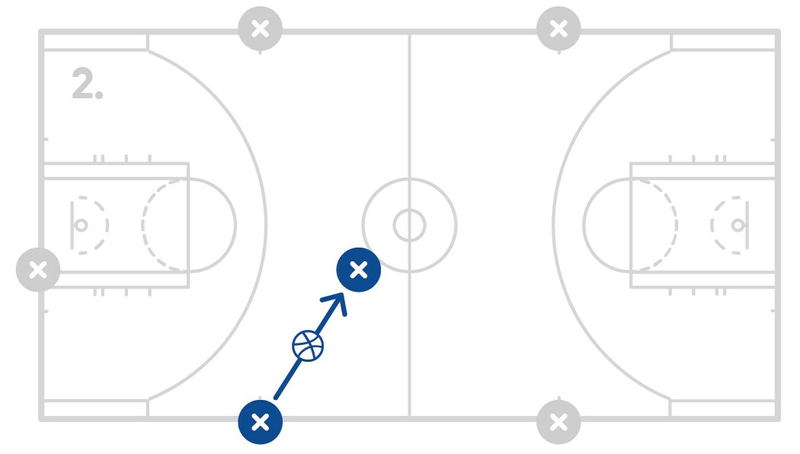 The player in front of each line will have a basketball. 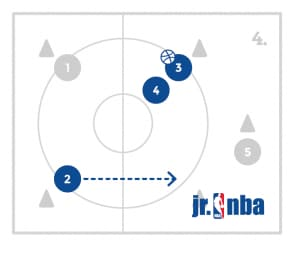 The player in the front of each line will dribble three times with their right hand. 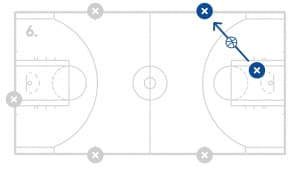 After the three dribbles, the player will hand the ball either over their head or under their legs to the player behind them. 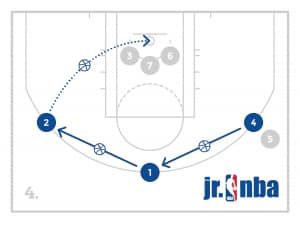 The next player will dribble three times with their right hand and then will hand the ball to the next person by doing the opposite (over the head, or under the legs) of how they received the ball. 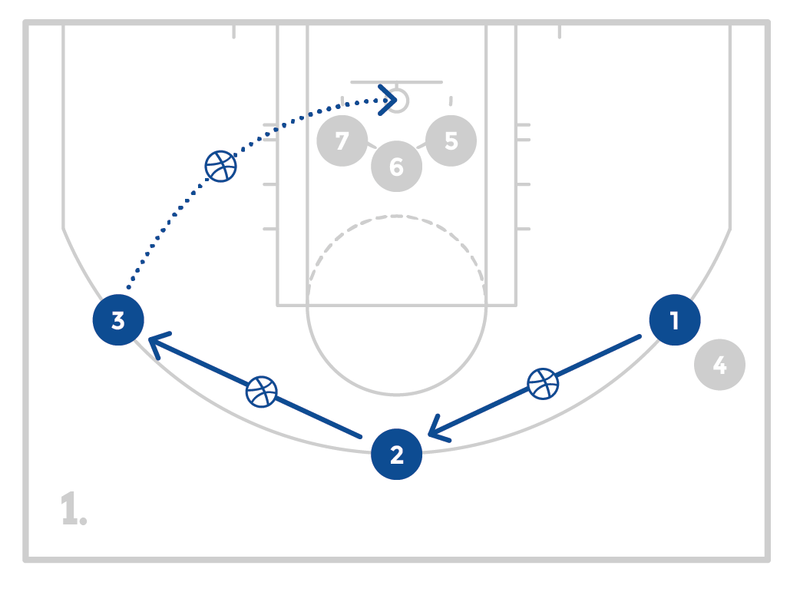 The team will repeat this process until the ball reaches the last player. 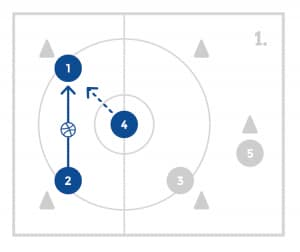 Once the last player has the ball, they will run to the front of the line and start the process again now dribbling with their left hand. 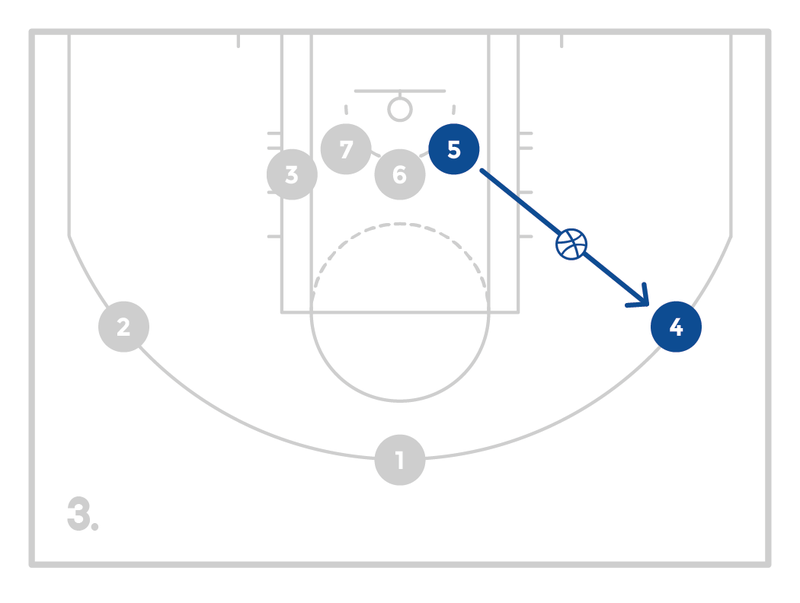 Divide the players into groups of five. 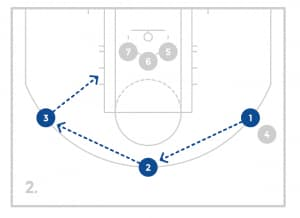 Four of the players will be active in the drill while one of the players will be in the rest station. 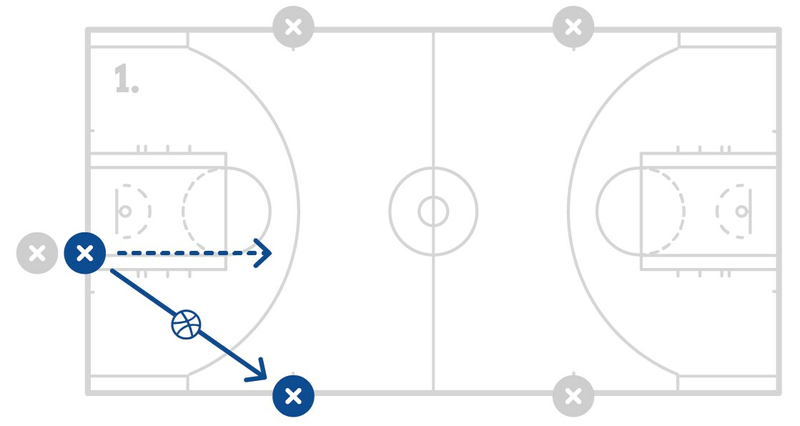 Set 4 cones up in a square and 1 cone off to the side. The cone off to the side will be the rest station. Three players will play offense and one player will play defense. The three offensive players will each stand at a different cone leaving one cone open. The defensive player will stand in the middle of the cones. 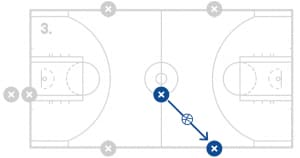 The player with the ball can only pass left or right and cannot pass the ball across to the opposite side. 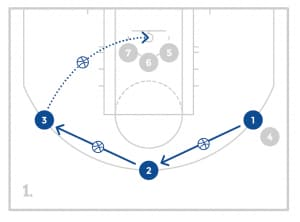 The players who do not have the ball must either receive the pass or “fill in” the open spot. 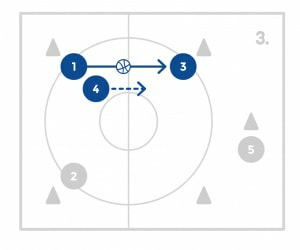 The defensive will try their best to steal the ball within 30 seconds before rotating positions. The player that was playing defense will rotate to the rest station. All players should have a partner and 1 ball per group. 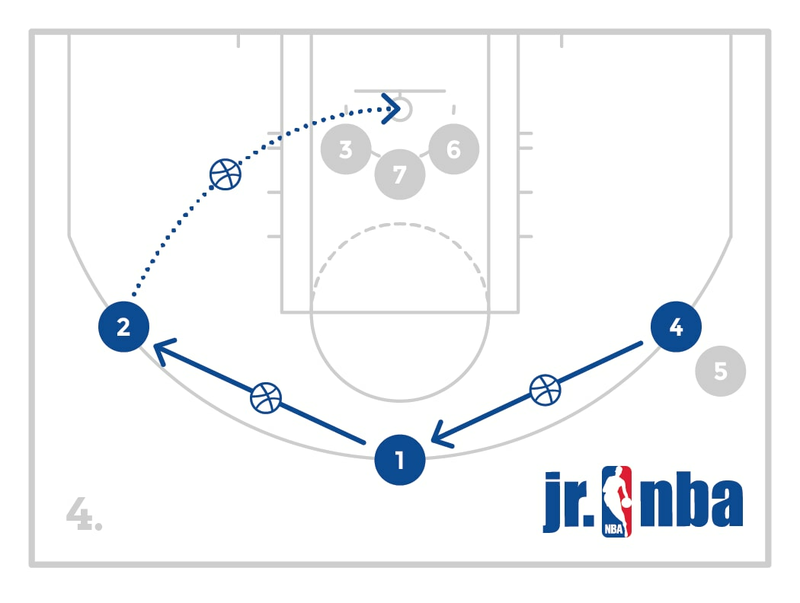 There can be at least 3 partner groups per basket (side, middle, side). 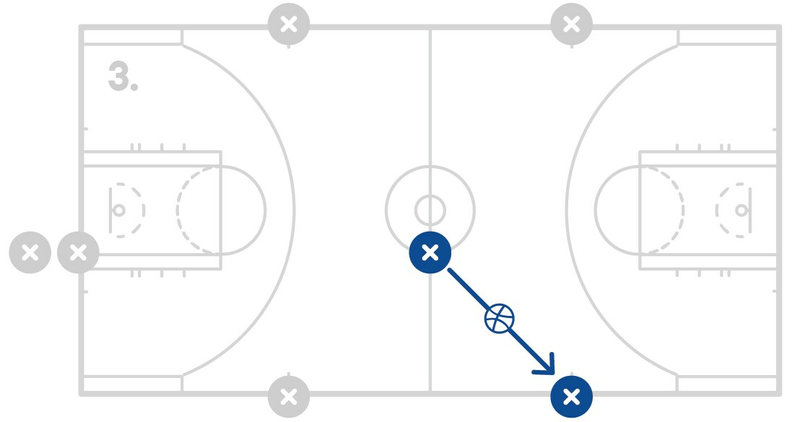 One player will line up 3 to 6 feet away from the basket and the other partner will stand just behind the basket. When coach says “1. 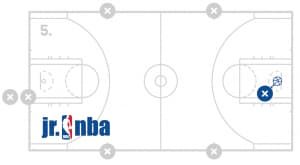 2.” The player will take 1-2 steps and perform a lay-up shooting for the square on the backboard. The players will not dribble the ball. 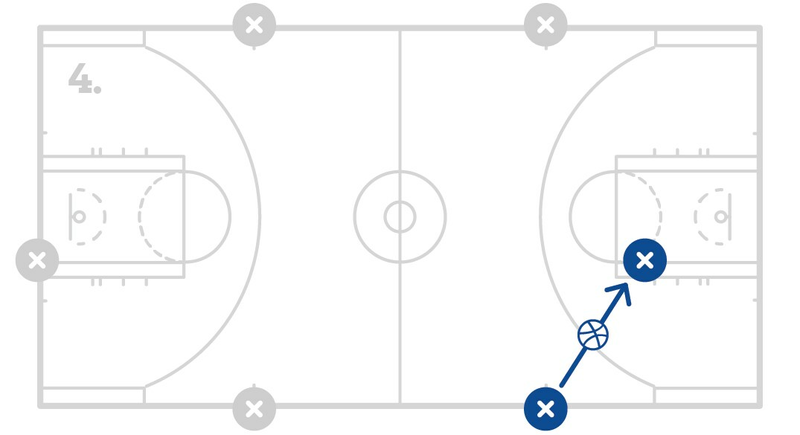 The partner will grab the rebound and give it back to the shooter to repeat. That player will work for 1-minute before switching with the partner. Emphasize the correct hand and foot until the movement becomes natural for the players. Coach says is similar to Simon says. The objective is to do everything the coach instructs, but the coach must first say “Coach Says” before every request. If the player does the action that a coach says without the coach first saying “Coach Says,” they player is out. 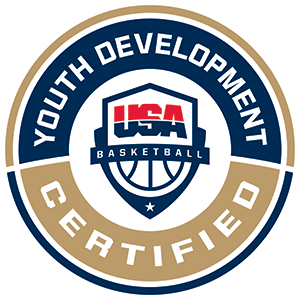 When the coach states “Coach says defense!” the players will slap the ground and yell “Defense!” as they assume the defensive stance. 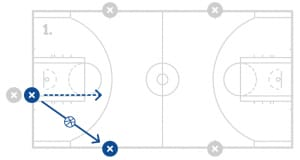 When the coach states “Coach says this way” and points in a direction, all players will quickly hop and twist there body to face that direction and immediately hop back facing the coach. When coach states “Coach says foot fire!” the players will quickly tap their feet against the floor as fast as they can while yelling. Coaches can add other elements but remember this is a listening game and the player is out if the player does something that the coach didn’t preface with “Coach Says”. The game finishes when there is just one player remaining. If the players do a great job listening be creative with what you ask them to do in an effort to trick the players.